The best Heating services provider. Whether you’re remodeling, building a new home or simply replacing your existing heating system, you can depend on us for reliable, efficient heating solutions that will last for years to come. Your new heating system will help you comfortably ride out the harshest winter, save your hard earned cash and increase the resale value of your home. We are #1 Heating services provider in your area. The Leader of Heating Services, Installations & Repair Contractors in West Chester and all of Chester County. Call Sinton Air for all your Heating, Heat pump, Boiler, Furnace Maintenance, Repair, and installations. Heat pumps have heating efficiency ratings, indicated as a Heating Seasonal Performance Factor (HSPF). It is important to understand that the rating is a seasonal average, it is not a constant rating scale, just like a SEER rating for air conditioning. In general, the higher the HSPF rating, the less electricity the unit will use to do its job. In 1992, the federal government established the minimum heating efficiency standard for new heat pumps at 6.8 HSPF. (Most heat pumps manufactured before 1992 had HSPF ratings below 5.) The minimum HSPF standard changed again on January 23, 2006 to an HSPF of 7.7. Today, an HSPF of 8.2 or higher is considered “high-efficiency”; the maximum available in 2006 was around 9.35. Improvements in technology are always advancing and as of 2014, HSPF ratings are 13.0 maximum. Additionally effective January 1st 2015 all air-source split system heat pump systems must meet the new efficiency standards of 14 SEER and 8.2 HSPF. 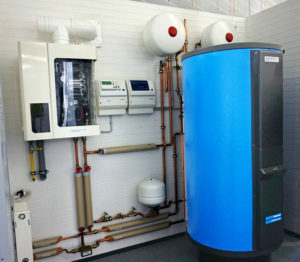 Packaged air source heat pump systems must be 14 SEER and 8.0 HSPF. High-efficiency central air-conditioning heat pumps can also qualify as Energy Star models. In addition to meeting the minimum SEER and EER requirements, they must also meet minimum HSPF requirements of 8.5 for split systems and 8.2 for single-package models. 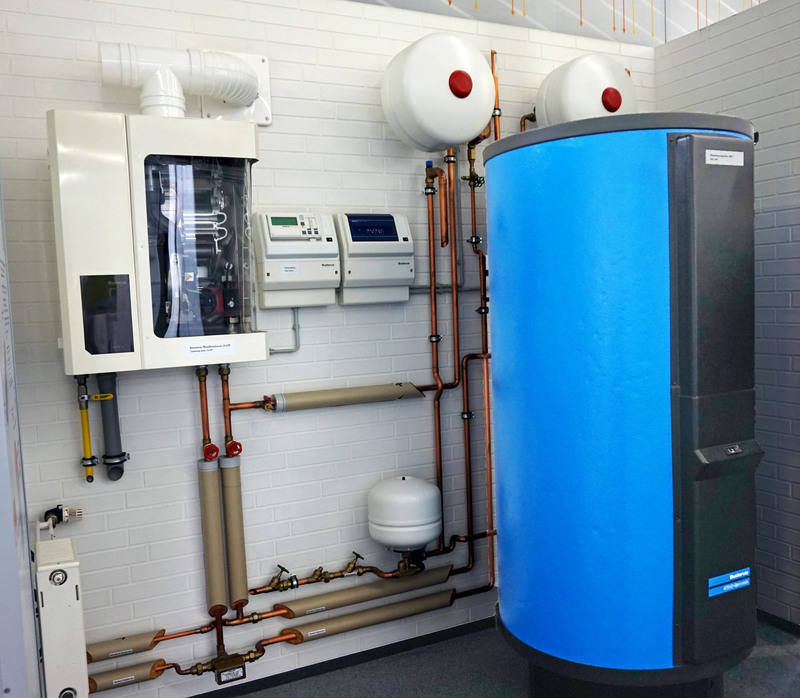 It is very important to understand that while an air source heat pump might have an attractive SEER rating, which is for air conditioning only, it may not have a comparable HSPF rating. Savings can be attractive for air conditioning operation, but less attractive for heating operation, especially if you live in a northern climate in which the heating season is longer than the air conditioning season. To give you an idea of what to look for, remember that a furnace’s efficiency rating, or AFUE (Annual Fuel Utilization Efficiency), tells you how efficiently the furnace uses fuel (gas or oil). In general, the higher the efficiency %, the less fuel the furnace will use to heat your home.Heat pumps have heating efficiency ratings indicated as an HSPF (Heating Seasonal Performance Factor). In general, the higher the HSPF rating, the less electricity the unit will use to heat your home. Whatever choice you make, you can rest easy that it’s a choice we’ll stand behind. All of our heating products are backed by our outstanding comfort performance warranty and temperature guarantee not to mention the best manufacturer’s warranties. Extended warranties are available as well. Talk to us today and see how easy it can be for you to start enjoying heated comfort at an even more comfortable price. 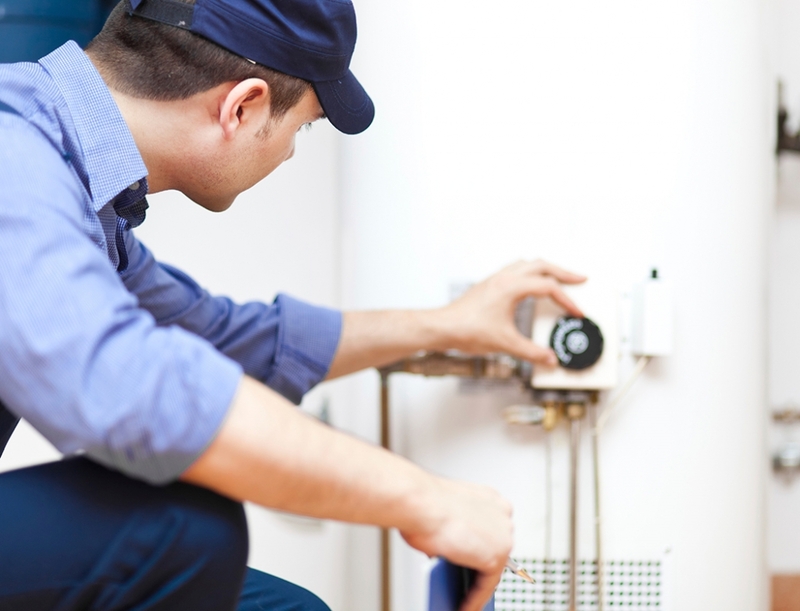 Heat pumps, furnaces, and boilers require maintenance and should be an annual occurrence. Just like a car, your heating system needs service and regular tune-ups to run efficiently and avoid unnecessary breakdowns. A full inspection, maintenance, tune-up, and safety inspection. Sinton professionals are #1 in heating maintenance. Heating repairs today you can count on. When temperatures are frigid, your heating system breaking down is a serious issue. Joseph Giannone’s licensed heating repair technicians are available 24-hours a day to offer prompt heating repair service, so your heating system can be up in running as soon as possible. You are dealing with #1 HVAC company and we are always do best for our very precious clients. We have professionals Heating Engginers who do their work so efficiently. So, why should you call us? Well, it’s quite simple: we’re a family owned and operated the company. That means we can relate to the issues you face every day as a homeowner and/or small business owner. And that means we’ll treat you like we want to be treated and always go the extra mile to make you happy! If you are unhappy with your HVAC installation and we cannot fix it, we will remove the system and refund 100% of your original investment at any time during the first year. In writing!